After completing the fourth wave, the market is trying to start a new ascending movement inside the fifth wave. We can’t exclude a possibility that the Index may reach a new maximum during this week. 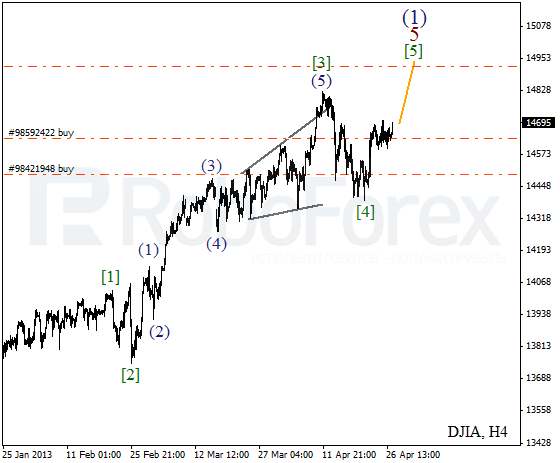 The target for the bulls is still the level of 14950. 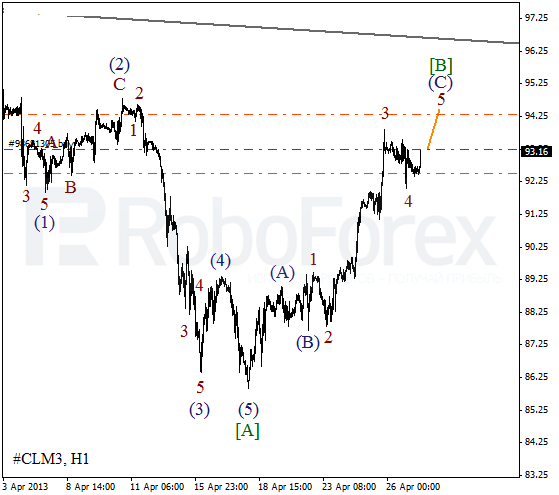 As we can see at the H1 chart, wave  was completed in the form of double zigzag pattern. 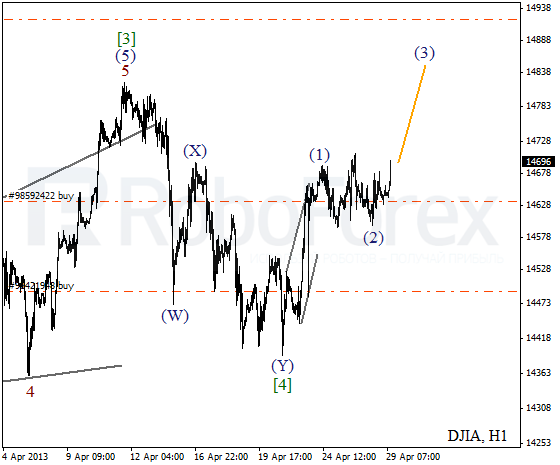 Later the market formed an initial wedge pattern inside wave (1). It looks like a local correction also finished and the instrument is starting growing up inside the third wave. 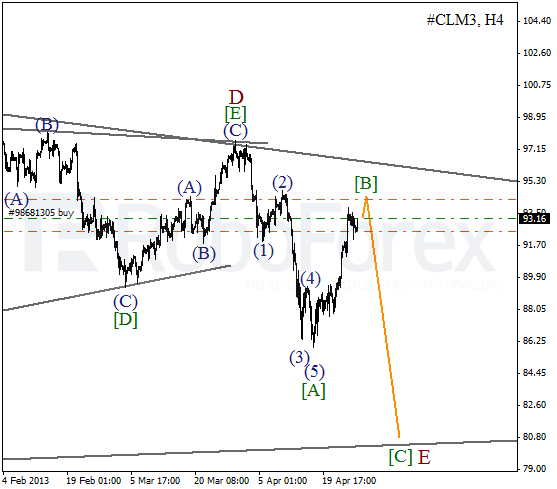 Oil continues moving fast inside wave [B]. Such fast correction may change the chart structure, so I advise to avoid selling right now until the price forms a clear bearish impulse. That’s why I opened only a short-term buy order so far. More detailed wave structure is shown on the H1 chart. The price is forming an ascending impulse wave (C). On the minor wave level the instrument finished the fourth wave and then started the fifth one. The target is at the level of $94.2 per barrel of Light Sweet.